Mark Twain seven years ago and I've come across at least one Twain short story I've never heard of once every four months. Mark Twain at Online-literature.com – This is the best site for access to Twain's short stories, novels, and non-fiction. The biography is well written. It does not, however, include a timeline for easy access of dates and major events. The Mark Twain Online-literature page has links to all of Twain's work, with a forum for interactivity. You can even submit a new introduction for each work. The Official Website of Mark Twain – The Official site has the standard biographical information, career highlights and a list (but not links to) his works. The Mark Twain Quotations Page, although limited, contains timeless words of wisdom. The site also features an actual video of Twain, shot by Thomas Edison. 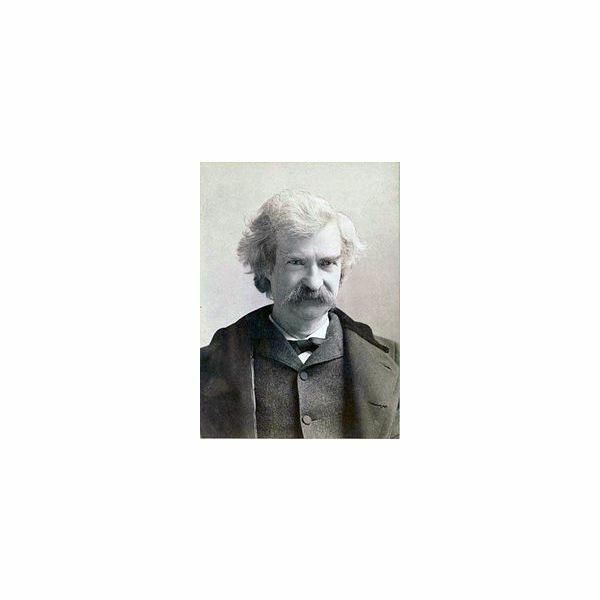 Mark Twain in His Times – This is a great site for historical background on Twain's more famous works. The site contains sources, a sales prospectus, advertising, contemporary reviews and the complete texts for Innocents Abroad, Roughing It, Tom Sawyer, Huckleberry Finn, A Connecticut Yankee in King Arthur's Court, and Puddin'head Wilson. I strongly recommend the Mark Twain Memory Builder Game. Answer the following questions using the following websites: Mark Twain at Online-literature, The Official Website of Mark Twain, and Mark Twain in his Times. Record the following biographical information: date of birth, place of birth, date of death. What was Twain's real name? When did he change it? Post a comment on any Mark Twain forum. List five works by Twain and give a 2-3 sentence summary. Check out the Twain photo gallery. Which one looks like you imagined him? Watch the Thomas Edison video of Mark Twain. What do you think he would say about Ipods, the Internet, and HDTV? Read the Mark Twain quotes. Choose the two you like the most and write 3-4 sentences explaining each quote and why you like it. List a fast fact about Twain that you found surprising. What did the San Francisco Chronicle think about Huckleberry Finn? Find another Mark Twain website and write a 4-6 sentence review. Play Mark Twain's Memory Builder Game. How many did you get right?